Three of Olympus's former top-men have been arrested as part of the continuing investigations into claimed accounting irregularities. The three include former chairman Tsuyoshi Kikukawa, former executive vice president Hisashi Mori and former auditor Hideo Yamada. Tsuyoshi Kikukawa resigned as chairman in October 2011 after the scandal, which was broken by former CEO Michael Woodford when he claimed to have been ousted from his position and turned whistleblower. Hisashi Mori was sacked in November last year. This is the latest development in the investigation into accounting irregularities at the camera manufacturer. In December Olympus's Japanese headquarters were raided by Japanese prosecutors investigating the firm's accounting practices. 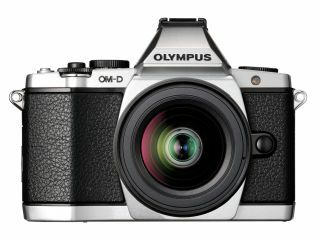 Shortly before that, Olympus admitted that it had hidden losses of $1.5bn over the past two decades, while the balance sheets show a $1.1bn deficit. The company also declared a loss of 32.3bn yen (£267m) for the last six months of 2011. Michael Woodford, the British former CEO of the Japanese company was fired in September 2011 after questioning payments made to advisory firms relating to acquisitions before his appointment as President in February 2011. Woodford had only been CEO for a mere two weeks before he was dismissed. He has since been very vocal in the media about his treatment, serving papers to the Serious Fraud Office in London and calling for investigations to be made in Japan. Keep following for more updates on this story as they emerge.